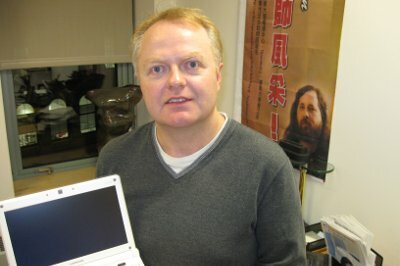 I got a call on Friday evening from Peter Brown, the Executive Director of the Free Software Foundation (FSF). It’s been my great pleasure to know and work with Peter over the last five years or so. While I was at Sun I liaised with him over the GPLv3 process, to arrange for Richard Stallman’s video about OpenJDK and then later when Sun resumed its donations to FSF as a Corporate Patron. More recently, as a director of the Open Source Initiative (OSI), I have had the pleasure of working with him on joint FSF-OSI projects. The most public was the joint position our two organisations took over the acquisition of Novell’s patents by the Microsoft-initiated CPTN consortium, but we have also ensured the two organisations stay in sync over various issues during the last year including our mutual opposition to software patents. For example, the FSF’s support for LibreOffice was triggered by a conversation Peter and I had about the OSI’s support for the project. While the FSF and OSI have clear philosophical differences, both are committed to software freedom and it makes sense to collaborate on the many issues where our conclusions match. Peter has been instrumental in that rapprochement, providing a “friendly user interface” to the FSF that I, among many others, have greatly appreciated. Peter’s call was to tell me the news that he has decided to step down from his job at FSF, while remaining committed to and involved in the organisation. He said that his replacement is John Sullivan previously the FSF’s operations manager and the brains behind many of the FSF’s campaigns. The FSF announced the news on Monday.. I very much look forward to working with John and continuing the relationship with the FSF that Peter facilitated. My warm thanks to Peter and a warm welcome to John!